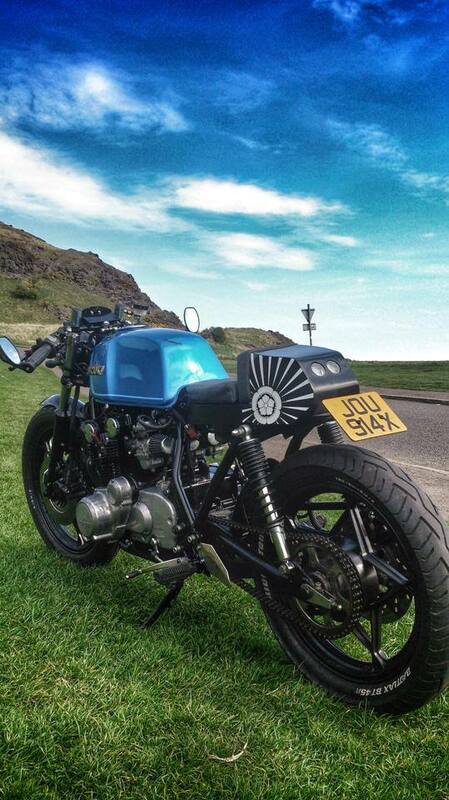 If you don’t have a blast when you ride this, check your pulse…you’re probably dead! I’d like to offer a special thanks to the team at GO AZ Motorcycles in Scottsdale Arizona. The GO AZ dealerships are the only 2 dealerships in the Phoenix Arizona area that allow test rides on their motorcycles. It’s always great to be able to get first-hand knowledge on motorcycles I’ve grown fond of. In Particular I’d like to thank Mike Horvath who set me up with the 2017 KTM Duke 690 – Thanks Mike! I’ve wanted to ride this motorcycle for quite some time and when the 2017 version came out, several vloggers indicated that the vibration was nearly non existent. “From a single?” I asked myself, skeptically! Having the opportunity to ride this 2017 KTM Duke 690 and write a review on it was very exciting. Spoiler Alert: Vibration! What vibration! I think it’s important that you read the context within which I do my ride reviews (see the bottom of this article). When I review motorcycles I address these areas on a scale of 0 to 10: (1) Fun Factor, (2) Cool Factor, (3) Utility/Functionality Factor, (4) Value Factor. Holy Fun Factor Batman! This bike oozes fun! It feels light (it’s only 328 pounds dry); has a silky smooth clutch (I mean it is a you-won’t-believe-how-smooth silky smooth clutch! ); has a smooth, linear throttle response and will get up and go when you give the throttle a good twist. 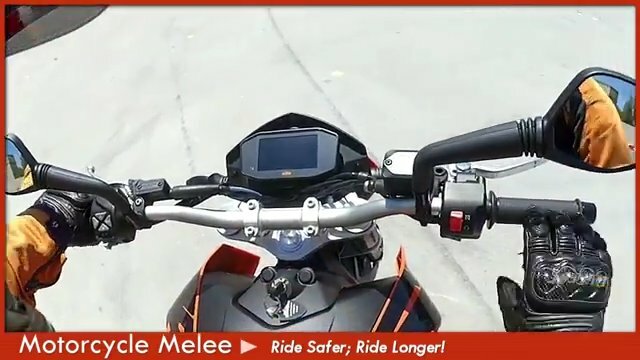 The seating position begs for hooliganism with the upright seating position you can flick the KTM Duke 690 left and right and it responds immediately. If you ride this Duke 690 and don’t have a blast – check your pulse, you’re probably dead! Riding the 2017 KTM Duke 690 will draw attention. KTM has a knack for unique geometric lines in their bikes and the Duke 690 has these unique lines. The curves of the gas tank, the side panels, the flattened headlight assembly and bikini type fairing—they all work together to give a unique and appealing aesthetic. Even during my demo ride, while stopped at a red light, a truck full of people all looked at the bike. You feel cool riding this bike and even at 56 I had a bit of hooliganism surface. This bike did everything I could ask of it as a commuter bike. Responsive acceleration, great highway speed, easy to maneuver, good gas capacity (around 3.7 gallons) which should allow a 100-mile commute, very light at only 328 pounds dry, comfortable commuting seating position and a holy-cow fantastically smooth clutch. The only drawback I encountered was when the sun was behind me it reflected so much on the dashboard that I couldn’t see it unless I leaned way forward. With that said, this bike seems like it would be a great commuter bike while offering tons of smiles. Waiting to show me the fun! 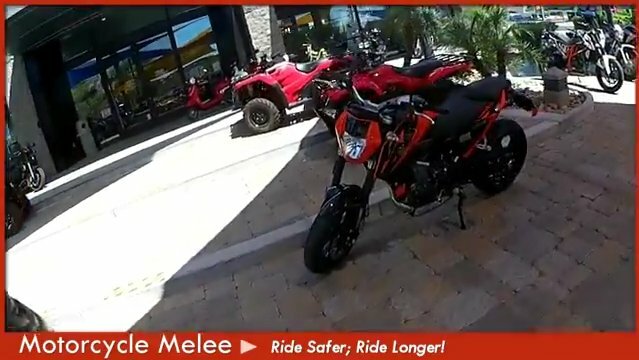 The 2017 KTM Duke 690’s MSRP is $8,999 and for that price you get an awesome commuter bike that offers so much fun. 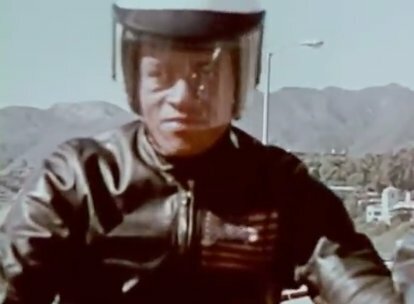 You will look forward to going to work and coming home from work – simply because you will get to ride this motorcycle. The dashboard has everything you need including but not limited to gas gauge, gear indicator, speed, tachometer, and outside temperature. The engine is remarkably smoother than you would expect for a 690cc single. A close competitor is the Yamaha FZ-07 with ABS which has an MSRP of about $1,500 less than the Duke 690. I think the Duke offers more fun factor, but both of these bikes will be good choices for commuters. 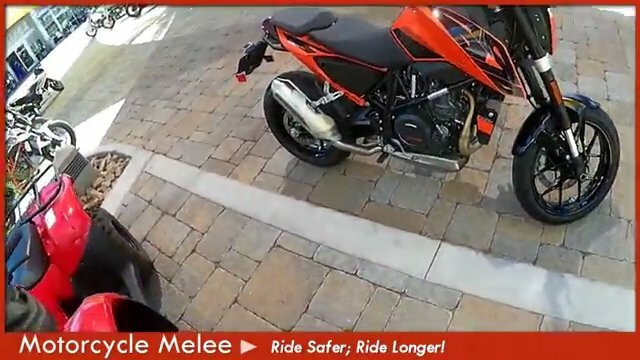 The 2017 KTM Duke 690 pleases your inner hooligan and outer commuter. It seems like it will work both for in town riding – with its overtly super smooth clutch making navigating in traffic a breeze – and for riding on the highway back and forth to work. It sounds really cool with the stock exhaust as a thumper should. Ride Review Context: I want to give you some context within which I do my motorcycle test rides. I don’t profess to be a person who knows all about motorcycles, so I won’t tell you about the horsepower or the torque numbers. I also won’t try to explain the inner workings of the engine. What I will do is give you my perspective as a short rider (5’ – 5”) who commutes about 100 miles each day (80% highway and 20% suburban streets) back and forth to work. From this perspective I will try to help you understand the pros and cons of the motorcycle I’m test riding. I will offer my opinion which you can take or leave. Looks like an awesome bike. I hope I get to ride one soon!